There are 366 different Starters of The Day, many to choose from. You will find in the left column below some starters on the topic of Tables. In the right column below are links to related online activities, videos and teacher resources. 5.5 Times Table: Write out the 5.5 times table as far as possible. Aunt Sophie's Post Office: Work out the number of stamps needed to post a parcel. Hot Summer Test: Write out a large times table. Get as far as possible in 5 minutes. North Pole Test: This starter requires you to write out a difficult times table. Not Multiples: Write down the numbers from a list which are not multiples of a given number. Refreshing Revision: It is called Refreshing Revision because every time you refresh the page you get different revision questions. Strange Tables: A challenge to learn an unfamiliar times table involving decimals. Subtract Quickulations: Calculations appear on the screen every few seconds. Table Legs: Learn an unusual times table from the strategic finger moving up and down the 'Table Leg'! Table Spiders: Multiply the number on the spider's back by the numbers next to its legs. Timed Tables: How fast can you answer 24 mixed times tables questions? Times Tables is the common term referring to the multiples of numbers 2 to 12 (or 2 to 10). Having a quick recall of these tables is an important pre-requisite for studying other aspects of mathematics and for coping with personal finance and other area of everyday live involving numbers. People of any age can improve their skills in recalling table facts. They should learn then as they would learn a song or a dance. You need to know your times tables forwards, backwards and all mixed up. Spend time learning them well and you'll reap the benefits in future. Here on this website we have developed many activities that help pupils learn their times tables and as then revise them in different ways so that the recall becomes easier and easier. Some of the activities are games and quizzes while others help pupils spot the patterns in the times tables in many different ways. Here's a plan for learning a new times table in only five days! Flash Tables: A never ending sequence of times tables questions to be projected on to a whiteboard or screen. Number Grids: Investigate the properties of number with these interactive number grids. Quickulations: A mental arithmetic visual aid that displays random calculations then after a few seconds displays the answers. Sieve of Eratosthenes: A self checking, interactive version of the Sieve of Eratosthenes method of finding prime numbers. Table Legs: Transum believes that this is the best way of developing a quick recall of the times tables. Beat The Clock: It is a race against the clock to answer 30 mental arithmetic questions. There are nine levels to choose from. Convoluted: Find the runs of four multiples in order as quickly as you can. Expedite: Drag the numbered cards to produce a multiplication fact. Complete twenty mixed times tables questions to earn a trophy. Fast Factors: How quickly can you arrange the cards to match the times tables? Fizz Buzzer: The digital version of the popular fizz buzz game. Press the buzzers if they are factors of the counter. Grid Arithmetic: Fill in a multiplication grid with the answers to simple multiplication and division questions. Hard Times: The hardest multiplication facts (according to Transum research) are presented in the form of pairs games. Stamp Sticking: Drag stamps onto the envelopes to make the exact postage as shown at the top left of each envelope. Tables Conga: Use the arrow keys to collect all the multiples in order while avoiding the Conga Virus! Tables Dash: Revise multiplication facts by racing across the screen to match the times tables question with the correct answer without getting hit by lightning. Tables Grab: A one or two player game. The objective is to grab all the multiples of the chosen times table faster than the other player. TablesMaster: How fast can you answer times table questions? This activity provides feedback to help you improve. Times Tables: A collection of activities to help you learn your times tables in only 5 days. Memorise the Multiplication Table: A quick overview of methods for learning all one hundred multiplication facts from 1x1 to 10x10. Nine Times Fingers: Learn your 9 times table fast using your fingers! Times Tables in 10 minutes: Jill Mansergh uses a number stick to teach the 17 times table in less than ten minutes. Fast Factors Board: A printable page to be used with the Fast Factors Activity. Multiplication Tables Worksheets: Printable times tables worksheet for all of the tables from two to twelve. Table Spiders: A number of pages each containing table spiders with gaps to be filled. 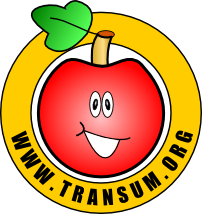 Transum believes that this is the best way of developing a quick recall of the times tables.